Here is a little known secret: active learning in executive coaching can make the difference between spectacular success and repeated promotions, and, stable lack of progress. Years ago, one of my friends had been his school table tennis champion. 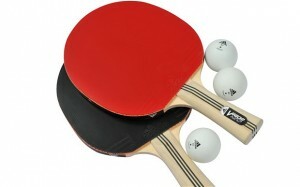 I love to learn, so when he asked me to meet once a week to play table tennis, I gladly agreed. Each week I would be beaten, soundly. Each week I would concentrate on one aspect of his game, and experiment with all sorts of ways to deal with it. His forehand smash, his backhand spin, his… Once that aspect was mastered, I would turn my attention to another, and another. One week, many months later, I decided to put it all together… and you can guess the result. I won every game. Why? Because while he was playing to win, during all those months, I had been playing to learn; learning actively. He had little need to learn because he could beat me in every game. Does that transition make me special? Far from it: it makes the technique special in the hands of anyone who masters how to use it. Active learning can produce better results, much better results, VERY quickly. We all know the difference between having 30 years experience, and one year’s experience 30 times. The 30 years experienced person is enormously more skilled than the person who has one year’s experience, regardless of how many times the one year of experience has been repeated. What few people are aware of is the person who has 150 years experience gained in 30 years. At first that sounds like a ridiculous proposition: as a start, nobody lives for 150 years! Secondly, how can anyone possibly gain 5 times the expertise in any given time frame than others? If we are prepared to accept that a person can do the same thing for 30 years and get only one year’s experience, the principle is established: use or lack of use of potential learning time make the difference to performance and outcomes. How can anyone possibly gain 5 times the expertise in any given time frame than others? Here’s how: active learning. If you spend 100 minutes a day reflecting on how to improve your performance, on analysing your performance, in devising methods to enhance your performance and I only spend 20 minutes, and we engage in the same quality of thought, you are, of course, going to improve faster than me, all other things being equal. At the end of the first week, it will appear that we both have one week’s experience, but actually you will have five. At the end of 30 years, it will appear that we both have 30 years experience, but you will actually have 150. PsyPerform has developed a range of techniques to enable executives to get many more years of active learning from the same time as their peers. Some people develop or stumble across those techniques themselves and use them to great effect. Most do not. Most can get one year’s experience from one year, and they are at huge disadvantage against the person who can get five times that learning, that active learning from the same time. Those are among the people who get promoted. Will you be one? If you want your time to bring you more active learning and therefore better results, contact PsyPerform and Prof Nigel MacLennan will provide a free development session either face-to-face or by Skype.